RLF is delighted to welcome Ross Gates as Partner to our London office. With over 35 year’s industry expertise, Ross was previously a Director for Rise Management Consulting, a Senior Development Director for Apple, and Director at both Laing O’Rourke and Mace. Ross has worked in the UK and international arena on a portfolio of high profile projects across an array of sectors. 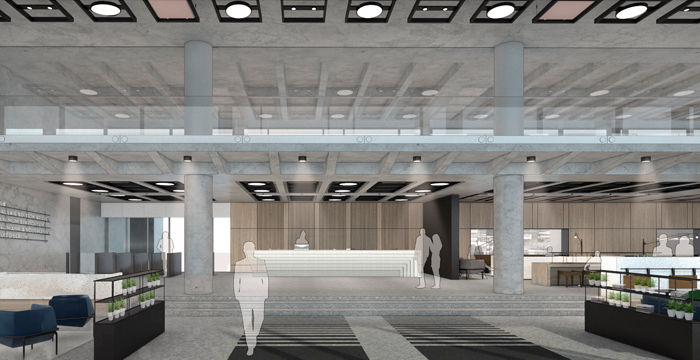 RLF London has been appointed on the renovation of the existing reception area, by extending the façade line outward to accommodate an enlarged reception, café/bar/lounge/breakout seating, a food offering and office space on the mezzanine level. RLF are providing Cost Management services to The Great Ropemaker Partnership (GP) Ltd for this project.